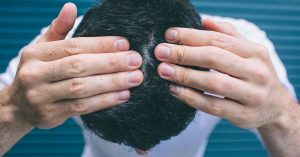 How Can You Get Started on Reversing Hair Loss? If you’ve been losing your hair, there’s a good chance that you’ve worried about what you want to do about it. You’ve probably heard about the many treatment options out there from medications to surgical procedures which involve scalpels and stitches. You may be confused and you might even be upset. There’s a lot noise out there, but RHRLI wants you to know we have a minimally invasive, permanent solution to hair loss called the ARTAS® System. ARTAS® is a state-of-the-art hair restoration procedure that uses a robotic arm to give you a healthy head of hair. It works with more precision than any other hair transplant you can find. This technology means your procedure will not be as invasive as follicular unit transplantation (FUT) procedures, also known as “strip surgery,” which are done with scalpels. ARTAS® is a robotic follicular unit extraction (FUE) procedure. Unlike other FUE transplants which involves the use of a handheld devices, ARTAS® will remain accurate throughout the procedure. Your first graft will be as accurate as the last one. At RHRLI, we believe in ARTAS®, but we also know you may be a little concerned about how to get started on reversing hair loss. So we want to give you some information to help. The first step towards your permanent hair loss solution is to answer any questions you may have. ARTAS® seeks to answer many of them on their website. It explains how the system works; using healthy grafts of hair rather than cutting out tissue from the back of your head and leaving a scar. If you’re concerned about pain, the site says patients feel virtually no pain. Some patients do experience minor discomfort and swelling after they undergo the procedure. But it goes away in one to three days. Another way to have your questions answered is to have an initial consultation with RHRLI. Our board-certified surgeon, Dr. Baiju Gohil, meets with all of our patients. He will be happy to address any questions or concerns you have. Then he’ll design a treatment plan for you. You will discuss your medical history with Dr. Gohil. He will evaluate any medical problems you may have as well as any previous surgeries and procedures. We’ll also take a look at any medication you may be taking to make certain you’re a candidate for ARTAS®. Most patients do qualify. Occasionally, you may be referred for more tests. Once we schedule you for an ARTAS® transplant, we’ll make things as easy as possible for you. Our FDA cleared system will perform the procedure in the comfort of our office. We’ll make sure you will be at ease in our environment and we’ll plan plenty of breaks. We recommend that you wear comfortable clothing and we’ll take care of the rest. We know you’re interested in reversing your hair loss. All you need to do is take the first step. RHRLI can change your life by giving you a healthy head of hair. To get started, contact us today.